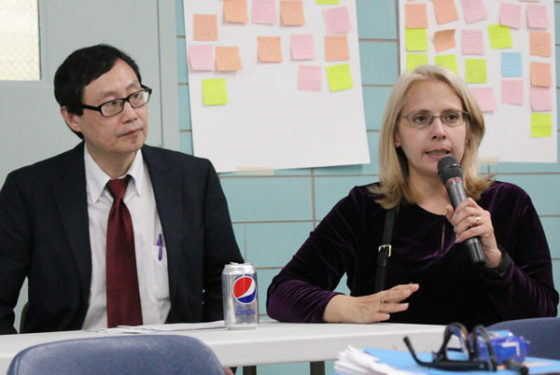 Finding the best ways to accompany and strengthen local families on their journey of faith was the focus of a lay ministry conference in Flushing last Saturday. 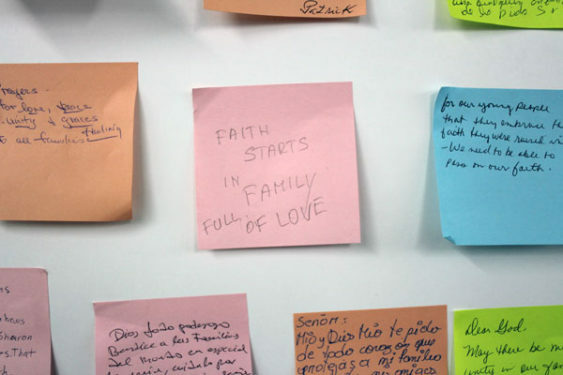 More than 200 lay leaders came together to review Pope Francis’ apostolic exhortation on the family, “Amoris Laetitia” (“The Joy of Love”), and share their experiences of ministry with families in their parishes and communities. 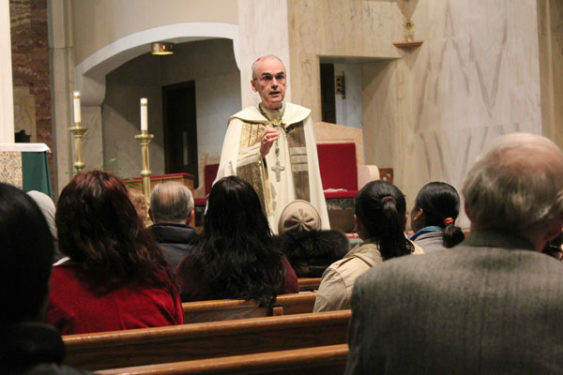 Sponsored by the diocesan Pastoral Institute, the four-hour session was held at St. Andrew Avellino Church. Auxiliary Bishop Paul Sanchez presided over morning prayer prior to the keynote talk from Dr. Valerie Torres, an adjunct professor of Hispanic family ministry at Fordham University. A panel discussion with local lay leaders followed. 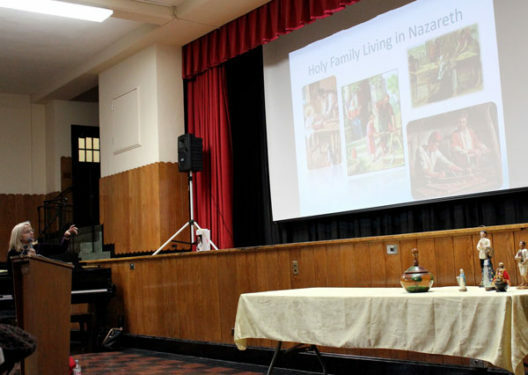 “We wanted to bring together people who are ministering to families in parishes to talk about different cultural aspects and family dynamics,” explained Gerald Tortorella, director of the diocesan Pastoral Institute. 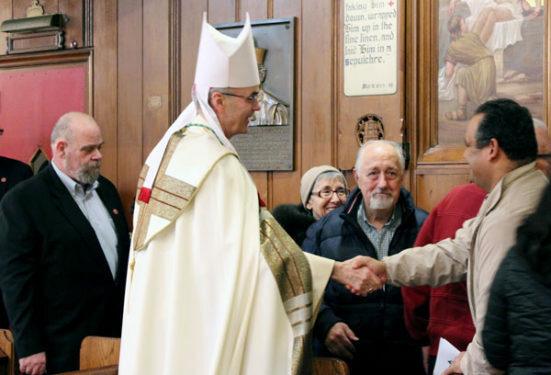 The conference was held in anticipation of Lay Ministry Sunday, Feb. 26, a day in which diocesan churches celebrate the contributions of the lay people who serve in parish ministries. “We’re here today to talk about love,” particularly love within a marriage and family, said Dr. Torres, who delivered her talk both in English and Spanish. Released by Pope Francis last April, the exhortation examines the joys and complex issues surrounding marriage and family in today’s world as discussed in two synods on the family and evangelization. 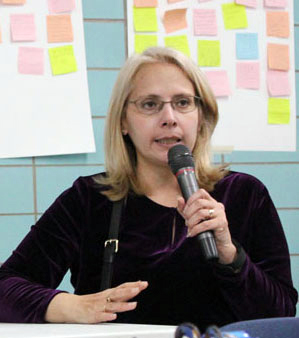 “In this document, we’re talking about the love of God – the love that God has for us, and the love that God asks us to share as individuals and as family,” Dr. Torres said. 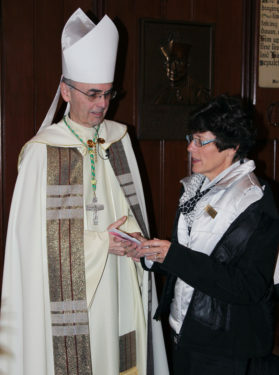 She offered insights into the exhortation’s introduction and main points from each of its nine chapters. Participants also received a study guide highlighting key passages with related reflection questions. 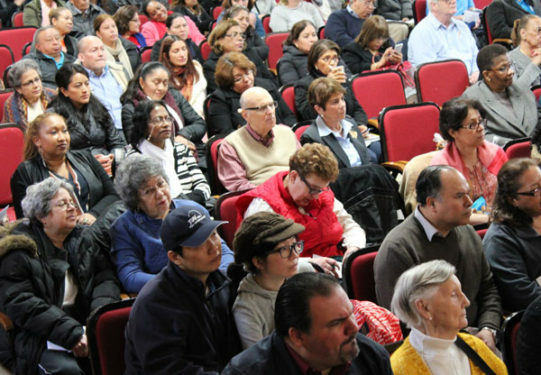 Speaking to people who are on the front lines of family ministry in the diocese, Dr. Torres spent time on the second chapter in which Pope Francis writes about the “challenging mosaic … of different realities” facing today’s families, and extended families, including immigration, divorce, single parenthood, unemployment and domestic violence. 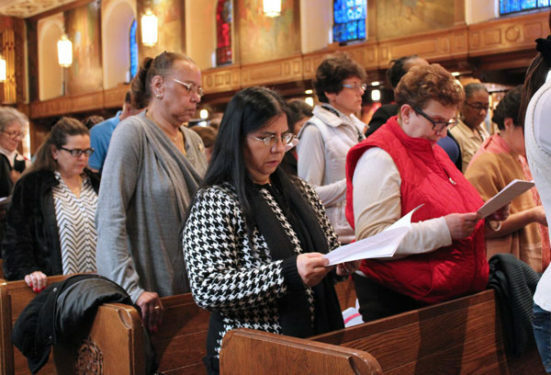 In addressing these realities, Dr. Torres spoke of the need for accompaniment: for lay ministers to seek out families that are hurting, be present with them in their day-to-day suffering and help them discern their situation before God. In this “field hospital,” as the Holy Father calls it, brothers and sisters bring God’s healing love, mercy and tenderness to each other. 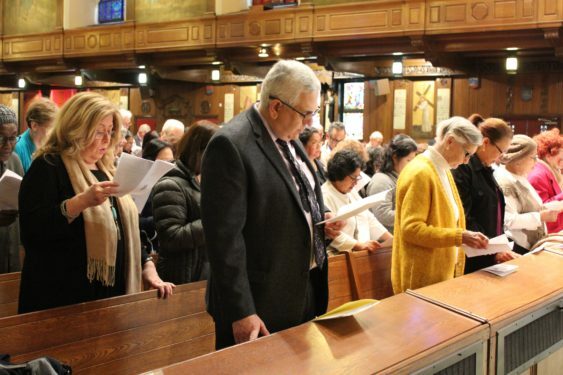 For Eddie Shih of St. John Vianney parish, Flushing, that means visiting parish families in their homes to pray a novena or rosary with them, and calling parishioners to pray together over the phone for few minutes every day. 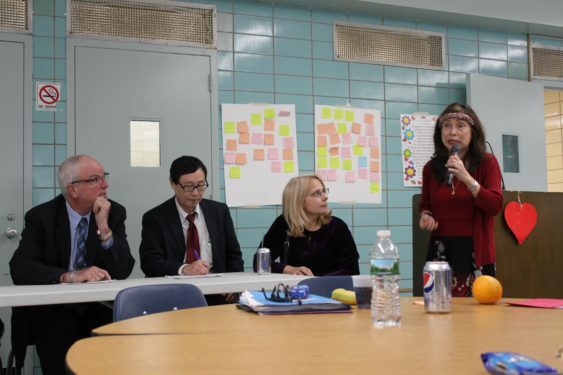 Shih was part of a panel discussion on cultural sensitivities after the keynote talk. 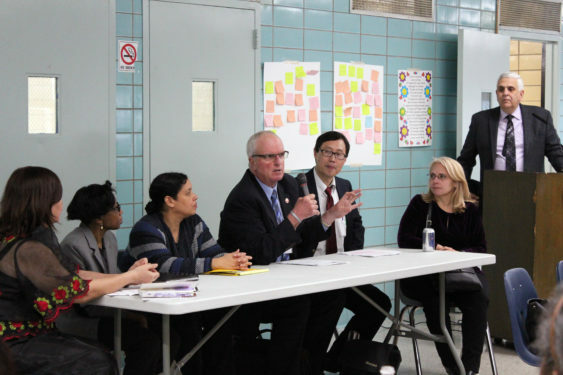 Other panelists, all graduates of the Pastoral Institute, included: James Lonergan, Holy Trinity, Whitestone; Lisa Sampson, St. Robert Bellarmine, Bayside; Shirley Lascano, Christ the King, Springfield Gardens; and Marie Casimir, St. Therese of Lisieux, East Flatbush. An RCIA leader and a convert, Shih talked about ministry within the Chinese community and being sensitive to different religious practices and beliefs among members of the same family. 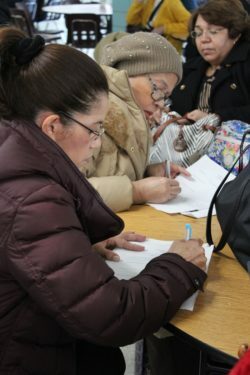 Lascano spoke of the separation, extramarital affairs and suffering of children in families with overseas Filipino workers (OFWs), while Casimir shared the social and economic struggles faced by Haitian families when they arrive in the U.S. 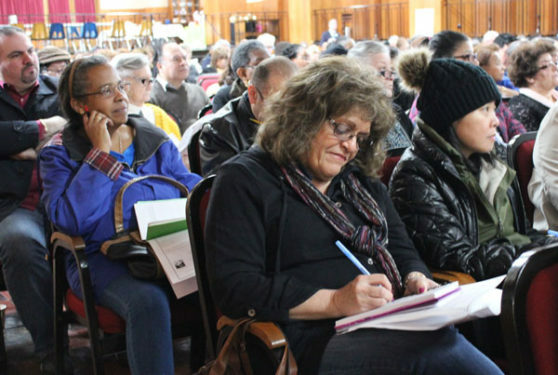 Families suffering due to long work hours, single parenthood, language barriers and parents working multiple jobs was a common theme expressed by panelists, who also represented West Indian, African-American, Latino and Anglo cultures. Extended families often fill the gaps in child care and passing on the faith. That personal encounter with a lay minister who is concerned and wants to help is the type of understanding, compassion and tenderness that individuals and families need to feel in the church. “The biggest and most important thing we can do for people when we don’t know what else to do is listen,” Lonergan said. 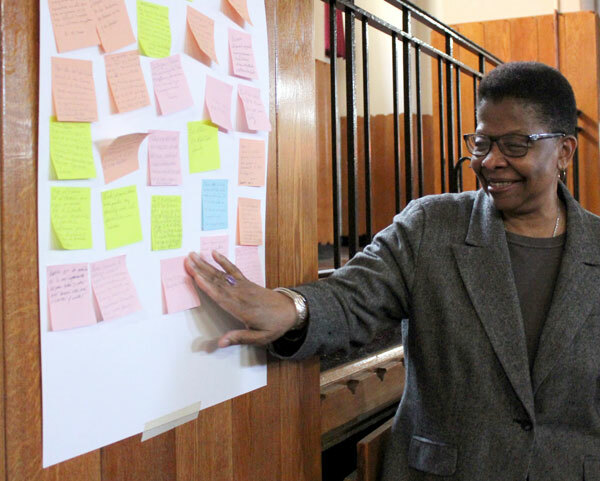 Jennifer Baptiste, religious education director at Our Lady of Refuge, Flatbush, listened closely to the advice she heard and planned to share some ideas at a parish staff meeting.